Monday morning, almost 60 of us (2 youth groups and Next Step Staff) crammed onto a bus and headed to the All Saints AIDS Camp. I sat on a cooler in the back wondering about a few things. One, this is going to be the coolest I’ll feel all day. Two, I wonder what is going on in the minds of our first-timers and lastly, I can’t wait to see how the camp is different since we left, how much work has been done since two years ago, and how much we’ll get done this week, and what about the feel of the camp since the missionaries arrived and … my mind kept racing (It’s been like that for months). like how the “model house” that we first worked on was now going to be a Nurse’s Station. Three other houses could be completed by the end of this summer if electricity and plumbing can get figured out. The sidewalk is becoming safer (my crew helped was putting in a handrail. I’d say at least a third of it is completed). Another of our groups put in a small parking lot that can fit about 5 cars for deliveries, work crews and visitors. And more plans are in the works but of course it highlights the need for volunteer groups to keep coming and hustling. There were some other developments that I was discouraged about. Like when I heard how one set of parents abandoned their 4 year old to what is believed to re-enter a life of drugs and prostitution. Last time we were here, we spent a good amount of time talking to this family and playing with their daughter. We also started to understand a little more about how the camp is organized (or unorganized). This led to a few other questions speculating about motives and such. It reminded us of how poverty is always punctuated by among other things, broken relationships and oppressive systems. I was happy to hear of some of the other improvements. The new missionaries (Tim and Felicia who moved from Wisconsin and arrived just after our first trip in the summer of ’09), have arranged for clean water to be delivered throughout the week, organized hot meals, have advocated for better medical care, have connected the camp with more local organizations and have prayed/ministered at countless opportunities. Then there were some things that haven’t changed. Like our friend Arthur still sings hymns to all who come to visit him on his porch (if you could hear this man with HIV sing “I Am the Lord Your Healer”, it would bring a tear to your eye). Miss Moxie still hugs everyone who comes in her door and asks for Psalms to be read and Brother Vincent is still listening to his Bible and preaching as often as he can. 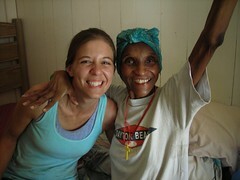 Wheelchair bound, malnourished and blind, they are still praising the Lord. Earlier this post, I mentioned the need for volunteer groups to continue to come to help with the construction, but that’s only half the story. They are also needed to help with relationship-building. They are needed to help bring a sense of justice to this camp and they are needed to share the hope of Jesus to these souls. 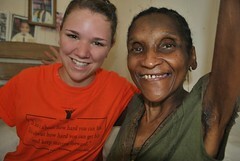 We’re glad that we have discovered the virtue of returning to the same places on our short-term mission trips. Because although we’ve been here before, it was a different experience this time and I am sure it will be different the next time too. We just got back from our student mission trip to the All Saints AIDS Camp located in Nassau, Bahamas and I have to say it was fantastic. We had a great experience the last time we went as well and deep down inside, a few of us feared that it wouldn’t be as special as last time. But we also knew that we don’t go on mission trips to simply “get special feelings” and I think that’s why we ended up with one. That makes sense right? If this is your first time reading about this here’s a bit of context. About 15 miles from the beautiful beach resorts sits this camp for about 30 people who have HIV/AIDS and/or have no other place to turn. Their conditions are deplorable and a couple of organizations like Next Step Ministries and missionaries (like Tim and Felicia who arrived a couple years ago) are committed to improving their living standards while serving in the name of Jesus. (You can check out my other posts for more starting here). As I have been thinking about the trip these last few days, I find myself grateful that a number of concerns that I had been praying for worked out as well as they did. As mentioned, our group was here two years ago and it was such an incredible experience that I know I was not the only one who was afraid that the glory of old would potentially become a stumbling block for us. I am grateful that it wasn’t. It seemed to me that the returning students were intent on letting this year’s trip be this year’s trip. Another concern was our first-timers. They’re usually young, idealistic, and I still like them. It’s exciting to have them but there is always concern if they believe the trip is going to be something that it isn’t. I am grateful to say they came ready to work and build relationships. Then there was my concern/hope that all would work out with our leaders. Because of the way things went, we ended up bringing 7 leaders. Each of them are wonderful and have great hearts. Each of them different, each of them opinionated like most Northeasterners (yeah we definitely lack that friggin’ Midwest charm), and then add me to the mix :). All I know is that we have the best leaders a youth pastor and his students (and a church family) could ask for. Amazing and wonderful people and I continue to be so grateful for their sacrifices and hearts. I get very sensitive regarding short-term missions. I was not always a believer of them and I understand the concerns/objections some have towards them, especially if the trip is reduced to a form of “poverty tourism” and the theme becomes, “We don’t have it so bad where we are from – aren’t you glad you’re not them.” (But if you are not careful, you might be even worse off – more on that in a future post that might morph into next week’s sermon). But that didn’t happen either, instead I felt that we were truly broken for the hurt we saw as we asked God to help us see everyone the way He saw them (and may we have the courage to see ourselves as He sees us). We absolutely loved the Next Step Staff. The recruiting they do is pretty impressive. A bad staff could potentially hurt a trip but between their talents and their hearts, they really were an incredible blessing to all of us. I hope they have a great rest of the summer and find ways for God to continue to use them so powerfully. What was also great about it was there was 8 of them this year (as opposed to 4 the last time. And for the record, the 4 last time were amazing and I know the Lord multiplied their efforts. But a bigger staff was really helpful, especially since there more than 50 us this time as opposed to 17). So fellow youth pastors, please consider this a strong endorsement for Next Step Ministries – check them out here. There were a few other things to highlight and I’ll begin there tomorrow as I can not wait to write a good bit about the residents, the missionaries, and the video series Next Step created and showed us this week. Thanks for reading! If you know me or if you have been following this blog for a while, you know I am a believer of short-term missions. While I see some of the shortcomings of these trips, I have also experienced the virtues of these weeks. 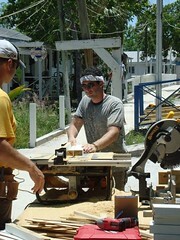 This year, we are returning to the All Saints AIDS Camp with Next Step Ministries. We will be headed to the Nassau, Bahamas this weekend and be there until the 17th. Our main objective is to do what we are told to do cheerfully and effectively in the name of Jesus (If you have worked on a short-term trip, you’re probably smiling and know exactly what that means). 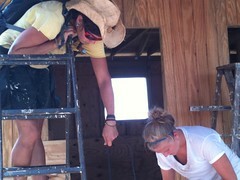 What I believe we are actually doing is building cabins for the residents of the camp. 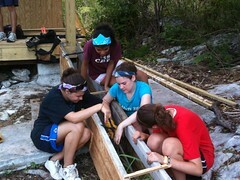 Two years ago, we worked on cabins and spent the other half of the time destroying sidewalk and repaving a new one. The sidewalk was completed last summer and most of the projects are focused on cabin building, a new bathhouse, kitchen-cafeteria and perhaps a chapel. 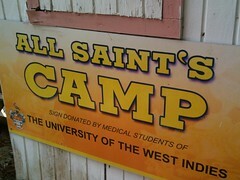 It’s always been interesting to me that the All Saints AIDS Camp used to be a leper colony. The camp sits on a ridge on the opposite side of the resorts, down a long winding dirt road overlooking a cliff and a cemetery. There is a little bit of electricity and access to water. Other amenities include a picnic table. Still, we found most of the residents to be cheerful. One woman we made a connection with frequently asked us to read Scripture to her and she would love to sing hymns. There were many like her which we found to be incredible. There has always been a Christian presence in the camp and many of the residents are professing believers. After our trip, the camp received resident missionaries whom we have been praying upon hearing the incredible news. I am curious to how the camp feels since their arrival. Upon hearing the possibility of this place (at the National Youth Workers Convention in Pittsburgh of ’08), I was quick to dismiss it. I mean taking high school students to an AIDS Camp and hearing all the jokes of a mission trip to the Bahamas is a tough sell. That day, had you told me that it would have been one of the most meaningful experiences of our lives, I probably would not have believed you. It’s become a very special place to me. You pray very different when you’re at a place like that. Last time I was there, my wife was pregnant with Dylan and she’s now pregnant with a little girl. I’m telling you, you think differently about life when you’re there. It’s a special place and our students were very moved by the experience. And one moment I’ll always remember is one of our girls turning 16 there. There are countless things to remember but one of my another highlight was getting a tour of the island on our free day by one of the residents … who was blind. I’m eager to meet up with him again and though I expect that he won’t remember me, we certainly remember him and his story of God’s deliverance. If you would remember to pray for a few things that would be great. – Pray that we would be “agenda-free” and only focused on serving in the name of Jesus. One of our collective concerns is the temptation to recreate our previous experience (which would be like us making an idol and worshipping that memory instead of God). – Pray for our safety and health. It’s extremely hot and we’re building cabins, tools are sharp, wood is heavy, and though we are very safety conscious, please pray for God’s hand to be upon us. – Pray for those we will be serving and serving with. As wonderful as it is for Americans to come and help build a new home for you, it must get a bit exhausting talking to a new group each week. We do our best to communicate to our team that we are not tourists but there is obviously a relational element to these weeks. And so we pray that those who we are serving would be blessed in many ways by us. 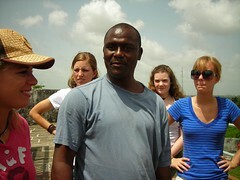 We will also be serving with another church (from Minnesota) and we’re looking forward to meeting them. I’d like to think that post a thought or two next week but I’ll be more committed to being there, so we’ll see. For more context, you can about our trip two years ago here and here. 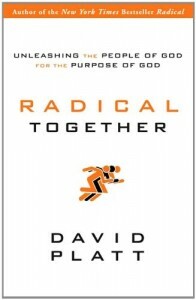 I received a copy of Radical Together: Unleashing the People of God for the Purpose of God for review. I am not required to give a positive review but to only post my honest thoughts. “Writing to everyone who desires to make an impact for God’s glory—whether you are an involved member, a leader, or a pastor—Dr. Platt shares six foundational ideas that fuel radical obedience among Christians in the church. With compelling Bible teaching and inspiring stories from around the world, he will help you apply the revolutionary claims and commands of Christ in fresh, practical ways to your community of faith.” (From the Publisher). I love that David Platt is a Southern Baptist mega-church pastor who is completely opposite of to that caricature. For my north-eastern friends, I’m not sure we can possibly understand this but from my own limited experience (which includes getting married by a man affectionally called Brother Bob in a southern Baptist church … and then taking my new bride across the Mason Dixon line like I was in the General Lee being chased by Roscoe P Coltrane. Anyway, I digress … ;) I love what Platt is saying in light of his context. I never reviewed his first book, Radical because I felt that it was dated in light of the Ron Siders, Shane Claibornes, Will Samsons, the Emergents, the Missionals and many others. But I did agree with the idea of abandoning the pursuit of the American Dream in light of pursuing the hope of the Kingdom of Jesus. These are excellent books for entry points to the missional church conversation. I like how Radical Together confronts entitlement and encourages the reader to seek mission and community in Christ. As with a few books I review, this too, would be an excellent small group resource (There’s a discussion guide already included). I don’t have much critical to say here. Though I would prefer something a bit more challenging, if I am being honest with myself, in my personal application, there’s enough to be challenged by here. I think the Radical series is fulfilling its objective. As mentioned, it’s a great entry point to the missional church conversation. If you are looking to understand what some of the more progressive and younger evangelicals are talking about when it comes to social justice and Kingdom-living, this is a good place to start. I received a review copy of Francis Chan’s new book Erasing Hell: What God Really Says About Eternity and the Things We Made Up from David Cook Publishing and agreed to post my thoughts this week. I am not required to post a positive review, all of these thoughts are my honest reactions. Why the Book? As you probably know, there has been a lot of interest surrounding heaven, hell, and the afterlife since Rob Bell released Love Wins. 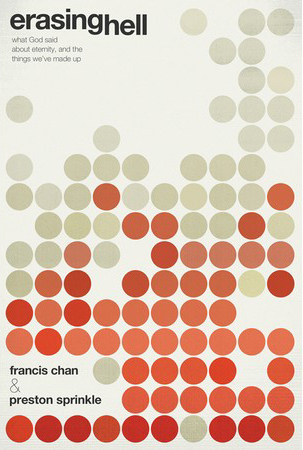 A plethora of books are being released on the subject and among all of them, I was interested in reading Chan’s thoughts. As you can see from the previous paragraph, I appreciate him and as a result, know that this post is not objective (as if one actually could be completely objective). I’m sure most of these books are not being written mainly out of a motive for profit but I’ve been wrong before. If you know Chan’s story, you’ll know that money is not a motivating factor for him which draws me more to the book and given the attention surrounding these types of books, I feel this should be said. – He and his friend Preston Sprinkle (who has a Phd in New Testament studies and is a professor at Eternity Bible College) spent as much attention has possible focusing on the Biblical texts that talk about the afterlife. – As alluded to earlier, because of who Chan is, I was excited to read how he would respond to Bell. Though I didn’t always appreciate what Chan was saying, I did like how he was saying it. And I find that to be very important if we really are interested in conversation. – The tone of the book is very pastoral. I’m a sucker for this and I know I keep saying it but there are good number of pastors who know how to address an audience. I think Chan does as excellent of a job as anyone. – This is an excellent book for small group study and expect that it will sell numerous copies for this reason alone and I’m sure there will be a group study questionnaire guide released by the time I finish this post. – Really liked Chapter 2 “Has Hell Changed? Or Have We?” (not really the title but the content was solid) and loved Chapter 5 entitled, “What Does This Have to Do with Me?” Seriously, the best chapter in the book and reminds of why I appreciate Chan. I’d even say that chapter saved the book for me. – Liked his treatment of “gehenna”. I did always believe that Jesus is referring to a garbage dump and I’m yet not convinced that he’s not. However, between Chan and Scot McKnight’s post on the subject, I do need to give it’s due attention. – I expected Chan to lay off certain difficult thoughts (like in Chapter 6 but he took everything head on). Not sure if he gave it the space needed but it’s an excellent summary that points to God’s sovereignty and man’s need for humility. – Chan’s wrestling with certain difficulties (but I quietly wished he would have shared more). – As much as I like Chan, I really didn’t like the title or subtitle (didn’t really care for the video either). I know many times the author doesn’t decide on that and I get what they’re trying to say but I feel it’s poorly titled. I also find the subtitle to be pretentious. Does anyone really know what God says about eternity? Let he who is without sin lift up his perfect hermeneutics. – I felt that Chan wasn’t really responding to Bell but instead merely recentering the classic evangelical teaching of eternity. He just happens to say it better than most because of his exceptional communication skills but I think discerning readers will be a disappointed that they already know much of this content (though it’s well organized). Consequently, if you are coming to this conversation late, I suggest you read Erasing Hell first, then read Love Wins. Because even though Chan references passages in LW, Bell is responding what Chan is articulating. Anyone else see this? – While I didn’t want Chan to go blow for blow with Bell (like the way DeYoung did in his .pdf), I was expecting a little more engagement since it was marketed as a response. I would be very interested in seeing what was edited out :) Perhaps, I should say, it’s a good book, but not an excellent response. – I feel there is room to speculate on the afterlife when you offer the disclaimer that you are speculating. Thus, I wished that Chan would have shared his imagination a bit more. That is what’s so powerful of the first third of Bell’s LW. With all sincerity, I did enjoy reading Erasing Hell and I expect it to be the better among the “Response to Bell” books that are being released. And though the content is much thicker than LW, it’s still reader-friendly. My advice is wherever you start read Surprised By Hope by NT Wright , Love Wins and Erasing Hell if you really are interested in the subject. This year, we told them the Sneak was cancelled by the trustees because of budgetary concerns, then because we felt “so bad”, we “scheduled” a much lamer lunch after church. But of course, the Sneak was never really cancelled. With the help of their parents, we took them to Boston to see Owl City and enjoy the town. Every year there is some type of theme. This year’s was “Say Good-bye to High School”. Which explains Owl City. Most of our students loved Fireflies … in 10th grade. But Owl City works well for us. Adam Young professes to be a believer, he creates fun music and he’s not trapped in the Christian sub-culture. The new album was just released last week and I’ve always wanted to take the group to Boston. I won’t bore you with how the theme worked in and out of our time but we did the typical Boston thing: We spit at Fenway, walked around late at night, did the Freedom Walk Tour, saw the Harbor, ate at Quincy Market and finished our time at the Boston Commons. It was our last stop that was by far the most special. We sat in a circle each person had something said about them by everyone in the group. I allotted an hour and half for this – between the tears, the hugs, and the heartfelt words, it took us a little over 3 hours. It was needed closure. Not only did some things need to be said, it was probably the last time we’d have this opportunity together. It was beautiful and I’ll never forget it. The best Sneaks are with classes that not only never gave up on our youth group community but sincerely tried to follow Jesus together. And the class of 2011 is special. I told them during the graduation portion of the worship service that in my 11 years of ministry, they were in my Top 10. But the truth is, they are a unique class. They were a big class filled with strong personality types, many very gifted in the arts and they really had bought into what we were trying to do as a ministry (it wasn’t always easy but they hung in there). I also feel that God used this class to bring out the best from us as youth leaders. 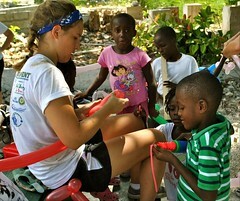 They were sharp, servant-hearted (though extremely busy) and always wanting to dive deeper. They read Don Miller, Scot McKnight and a good few had read Gabe Lyon’s Next Christians (a gift from this year’s Winter Retreat). How cool was it that on the Monday of the sneak, USA Today had a feature entitled “Can Cause of Social Justice Tame Our Culture Wars?”. (Not sure if we thought that was God providentially winking at us or maybe USA Today always runs stuff like that). They are also special to me because of where they fit in my own life. Many of them were in the room when I announced publicly for the first time that we adopted Nathan. They were among the first to hear that Susan was pregnant with Dylan. And then again, that we are having a baby girl this September. In lesser of life importance but still very cool moments, we watched the Giants win the Super Bowl together and we cancelled Sr. High Youth group to watch the Yankees beat the Phillies in ’09 (we just knew it would happen in Game 6). We served on mission trips to New Orleans, an AIDS Camp in the Bahamas and picked up trash together and various other things. Looking back on it, I’m moved by how much we did together over the years. I told them that I don’t know who I am going to argue with now. The Class of 2012 is much smarter, much more polite, and they already agree with me ;). But truly was an honor to be their youth pastor during their high school years. While we will always be brothers and sisters in God’s family, things will be different from this point on but these are the days I am extremely grateful for Facebook (because you don’t really have to say good-bye, just “See you around”) and these are the days I feel blessed to be a youth pastor. God’s grace to the Class of 2011 and don’t forget Mark 12:29-31!